With 7 players remaining, there's still more than $894,000 left to be paid out in @WPT Rolling Thunder $3,500 Main Event. 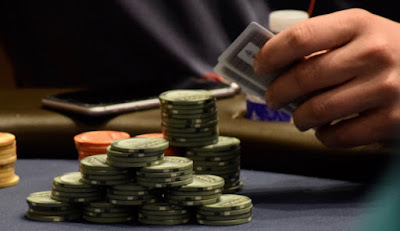 The final table bubble is going to earn $43,320 tonight. The first final table elimination tomorrow cashes for $56,417, and the top 3 players all pick up six-figure cashes. Here's the full remaining PayTable.